Over the years, we’ve developed many features to help you discover more on your journeys through the web, starting with related searches almost 10 years ago, to more recent additions such as related questions (Related questions are labeled “People also ask” in search results). 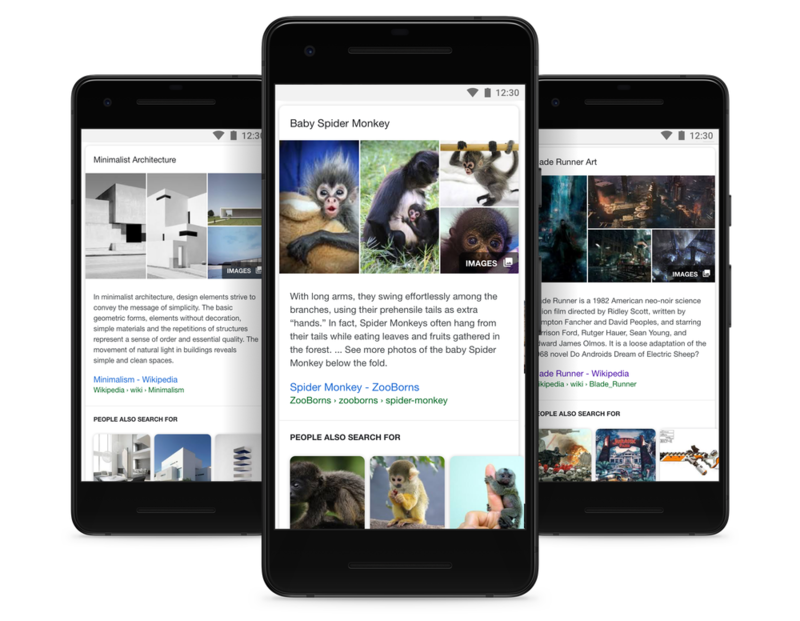 In the last few weeks, we’ve made three new additions to help you explore further, including expanded Featured Snippets, improved functionality of Knowledge Panels, and suggested content as you search for a particular topic. 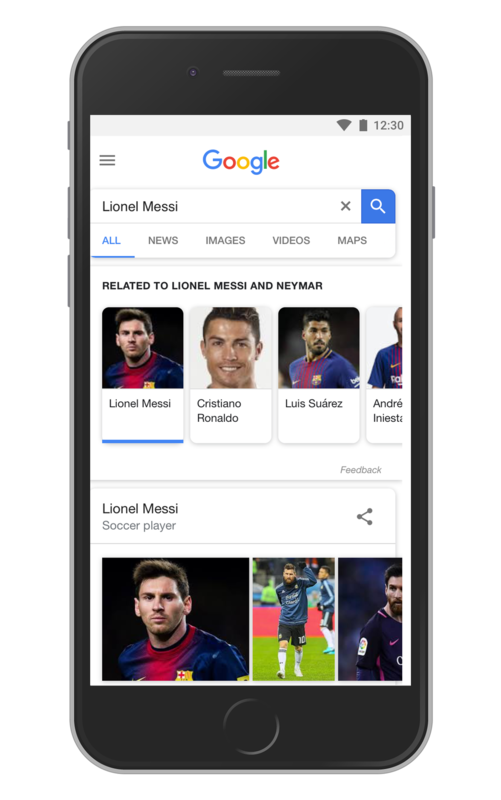 Featured Snippets are algorithmically generated highlights of what’s available on the web that provide quick, relevant answers for your queries. Today, we’ve added more images and related searches inside select Featured Snippets to help you learn even more about your topic, or to discover new things related to your interest.